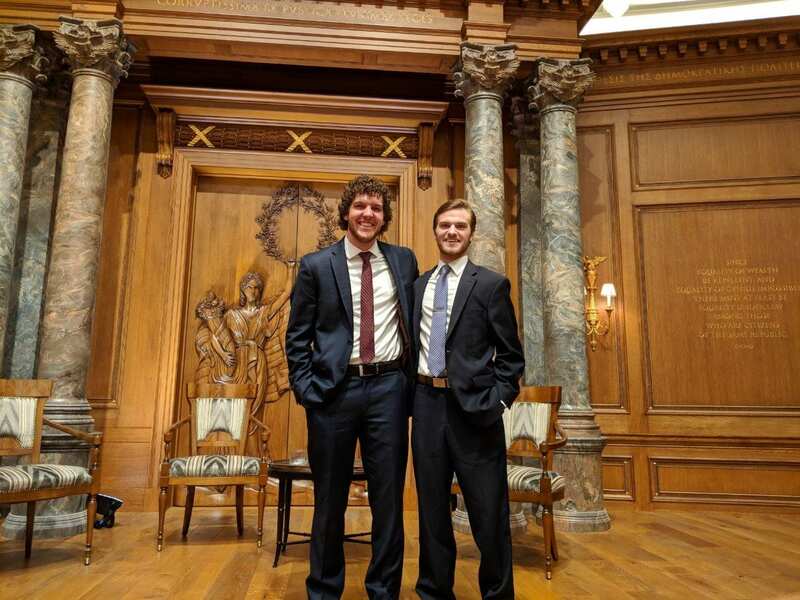 Two Highland Capital Management Tower Scholars, Evan Snyder ’19 and Zach Miller ’19 attended the Old Parkland Debate Series Sept. 28 featuring Karl Rove and David Axelrod. Zach shared about his experience. “Politics and policy are inevitably intertwined, and as a Highland Capital Management Tower Scholar, I find it important to have an understanding of both. Karl Rove and David Axelrod were initially campaign consultants, not policymakers. Nonetheless, the entanglement between governing and campaigning is exhibited by the fact that they both ended up working in the White House. As two of the most highly regarded political advisers in the country, this opportunity would enable me to hear firsthand how the collision of these two worlds manifests itself on a day-to-day basis. Initially, I was concerned that both men would be reserved on stage and refrain from fully speaking their mind. As someone with a background in campaign politics, I was well aware of the career accomplishments and personalities of both Karl Rove and David Axelrod. While their ideological divisions and different personalities certainly came out on stage, they also complemented each other, which made it entertaining when they would agree (albeit, not often) on an issue, but express their shared opinions in different ways.